The father’s name is Matthew Watkins. The children are Tyler and Kenna Watkins, who are both kindergarten students at Fairborn Primary School. 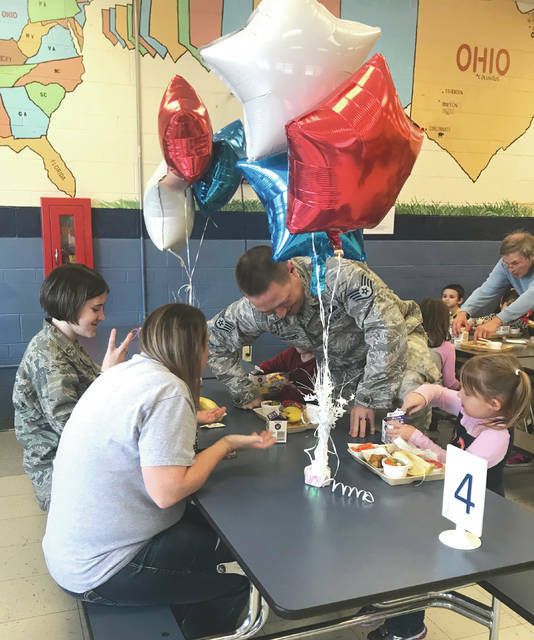 Submitted photos The Watkins, a local military family, was reunited Nov. 28 when a father who was stationed overseas surprised his children with a visit to Fairborn Primary School. 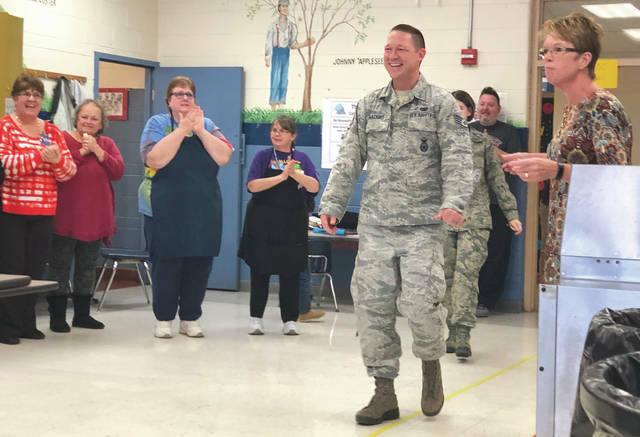 The Watkins, a local military family, was reunited Nov. 28 when a father who was stationed overseas surprised his children with a visit to Fairborn Primary School. https://www.fairborndailyherald.com/wp-content/uploads/sites/50/2018/11/web1_dadcomeshome4.jpgThe father’s name is Matthew Watkins. The children are Tyler and Kenna Watkins, who are both kindergarten students at Fairborn Primary School. https://www.fairborndailyherald.com/wp-content/uploads/sites/50/2018/11/web1_dadcomeshome1.jpgThe father’s name is Matthew Watkins. The children are Tyler and Kenna Watkins, who are both kindergarten students at Fairborn Primary School. 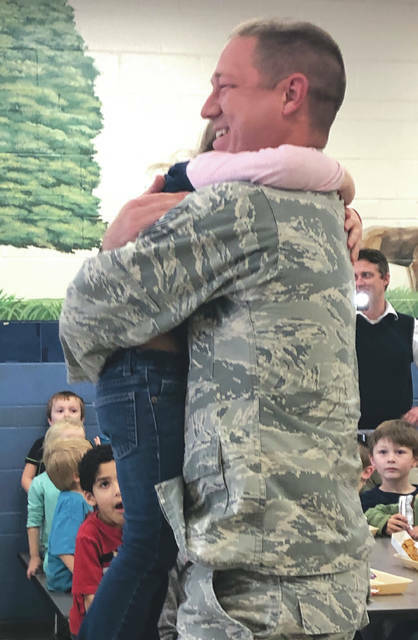 https://www.fairborndailyherald.com/wp-content/uploads/sites/50/2018/11/web1_dadcomeshome2.jpgSubmitted photos The Watkins, a local military family, was reunited Nov. 28 when a father who was stationed overseas surprised his children with a visit to Fairborn Primary School. 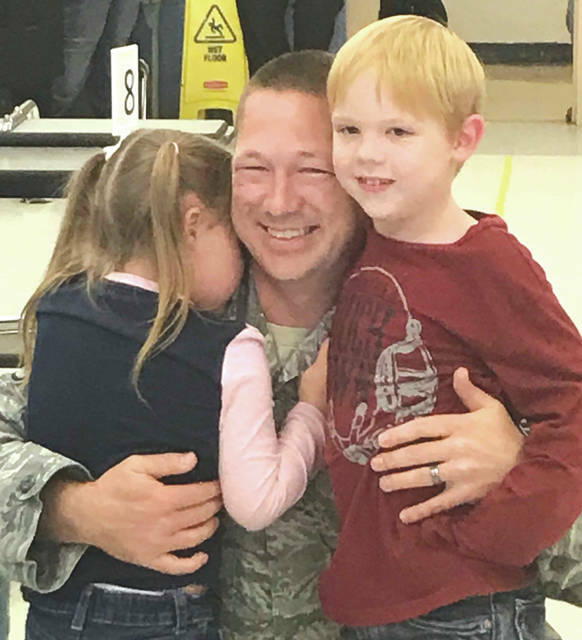 https://www.fairborndailyherald.com/wp-content/uploads/sites/50/2018/11/web1_dadcomeshome3.jpgSubmitted photos The Watkins, a local military family, was reunited Nov. 28 when a father who was stationed overseas surprised his children with a visit to Fairborn Primary School.